Row 6: Join yarn in any sp between dc groupings; in same sp as join work 3ch(counts as 1dc), 1dc spike between 2dc directly below on Row 4, 1dc; *into next sp between dc groupings work 1dc, 1dc spike between 2dc directly below on Row 4, 1dc* *to* around to end, ss into top of 3ch at start to close. Row 7: Join yarn in any sp between dc groupings; 3ch (counts as 1dc) 2dc in same sp as join; *3dc into next sp between dc groupings* *to* around to end, ss into top of 3ch at start to close. Row 8: Join yarn in any sp between dc groupings: 3ch (counts as 1dc), 1dc, 2ch, 2dc into same sp as join; *2dc, 2ch, 2dc into next sp between dc groupings* *to* around to end, ss into top of 3ch at start to close. These are lovely!! I might make some, great yarn busters. Thank you for the pattern! It's so lovely and wonderful! Thank you for all the wonderful patterns. Love them !!!! Lovely pattern, so pretty! I shall make this one for Attic 24 s Yarndale project, thank you for sharing it! Gorgeous Mandala .. love how the stitches radiate outwards, its beautiful! right that's it! 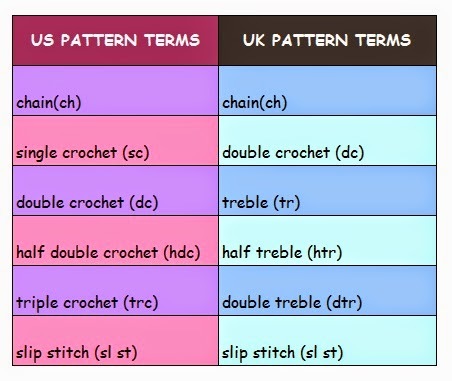 I MUST LEARN TO CROCHET!!!! Thanks for sharing your lovely pattern! Your tutorial is very clear & easy to understand. Love this very much. So pretty colors. I came across your blog by accident but it was the best accident in my life your tutorials are very easy to under stand and i love all your patterns too. Zooty owl's patterns are great and thank you for the tutorial easy to follow.One of the best blogs i have seen for a while. Thank you Janet! Hope you will visit often! Love it! I just finished making a Halloween themed one! I used black, orange, green, purple, and white. I used an I hook to make it larger, too. Mine came out to 10.5 inches. Thank you for this pattern! It was exactly what I was looking for. Thank you. Love your patterns.